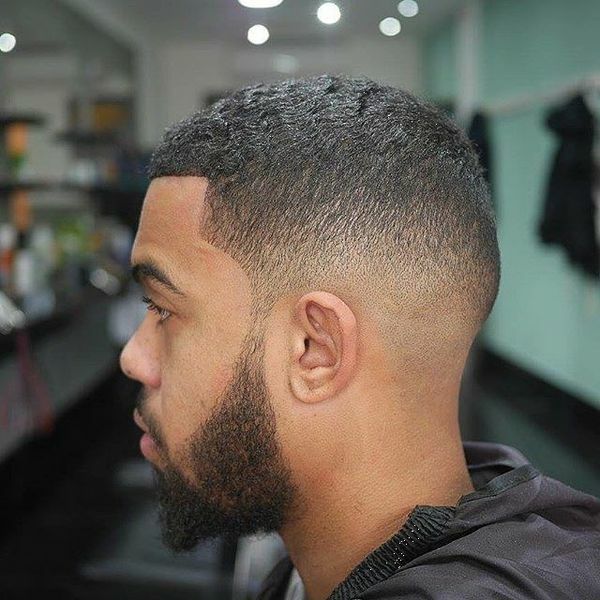 The lined up or shape up haircut for men is gradually taking the forefront of the latest hairstyle trends and barbers are creating innovative ideas to make this range of hairstyle more stylish and cool. 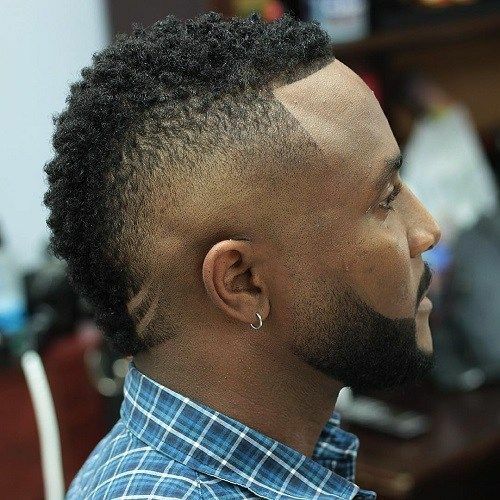 Instead of the natural hairline, the back, temples and the forehead are shaved to create straight lines and sharp angles. 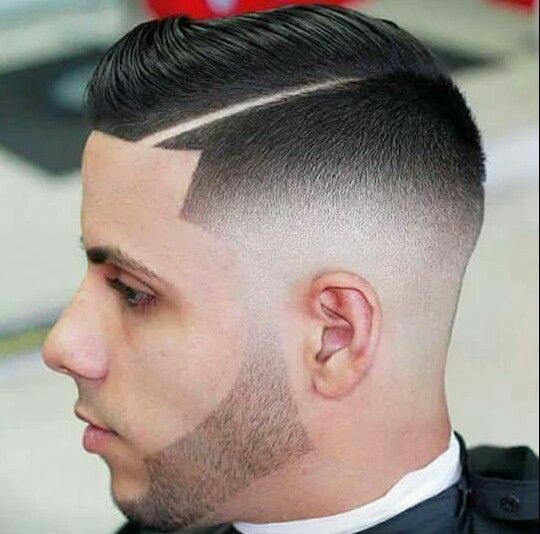 The lines are ultra clean, which makes it being called shape ups. A straight razor or clippers is used to get the closest shave. 1. Preparing the edge is the most important thing to achieve a perfect line-up haircut. 2. Do not keep the hair thicker along the edges and lighten up the edges instead. 3. The next step would be to apply a liquid razor along the edges and then blow dry the hair. 4. 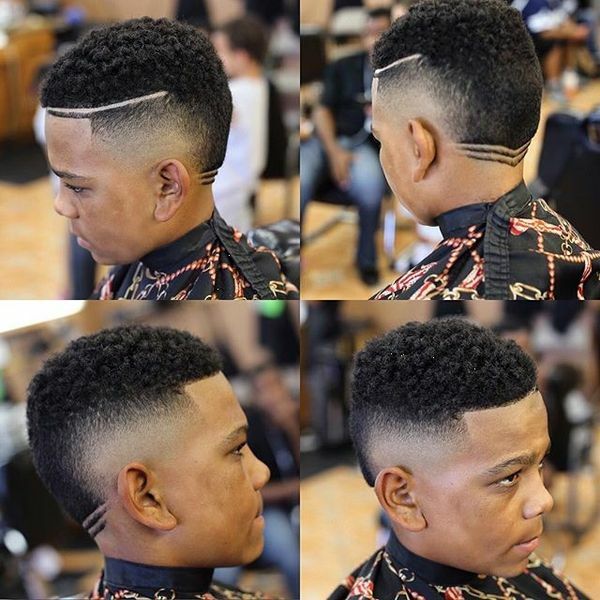 Next is the process of visualization, where you will need to maneuver the straight lines to match your hairstyle or shape up the corners to make the haircut look edgier. 5. Comb your hair forward when continuing with the process and in the next step you will need a rhino comb to measure the different lineup areas so that the edges are symmetrical. 6. Now its time to stand in front of the mirror and give the finishing touches. 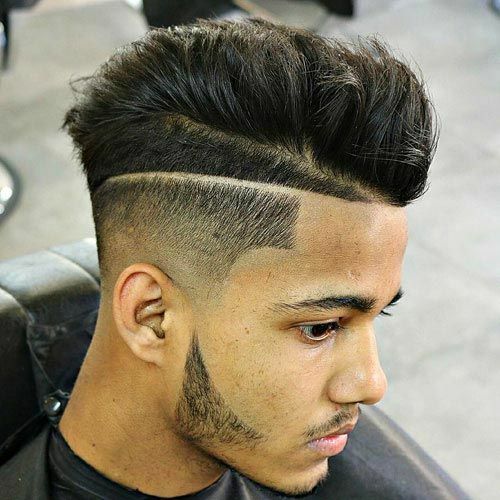 The short buzz cut features wavy texture on the top with the sides having high bald fade. The sharp line and the edges add to the style. The curly hair on the top is styled in a messy way with a sharp line making up the hairstyle. A sharp razor is used for creating a hard part, which is diagonally shaved from the center at the front on the left side. This swept back fade style is an ordinary one, but what makes it an extraordinary one is the sharp shaved hairline, where edgy angles are prominent. The blended beard adds to the style. The wavy and curly hair on the top is highlighted with a texture and the locks move forward. The style ends in the fringes being blunt cut. The sharp line goes across from one temple to the other. The Mohawk hairstyle, which has staged a comeback is highlighted with line ups and hard part. You will need a pomade to make the hair style look fresh. 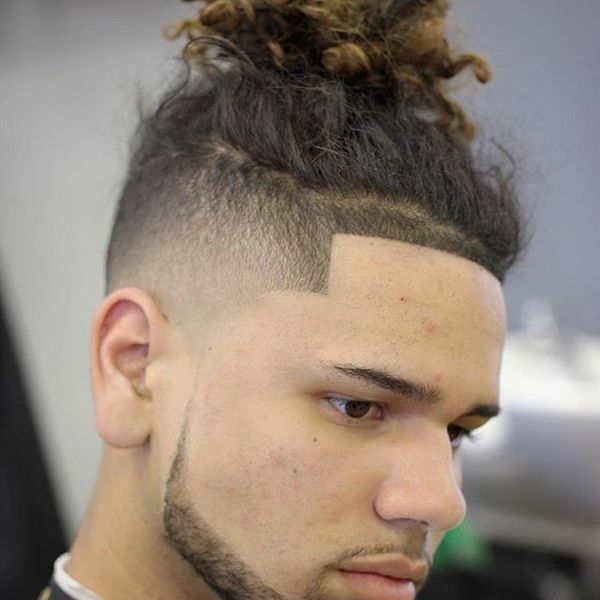 The combination of the clean fade sides and the fluffy knot at the top makes this hairstyle look refreshing. The sharp line and a cute beard makes the style spicy. 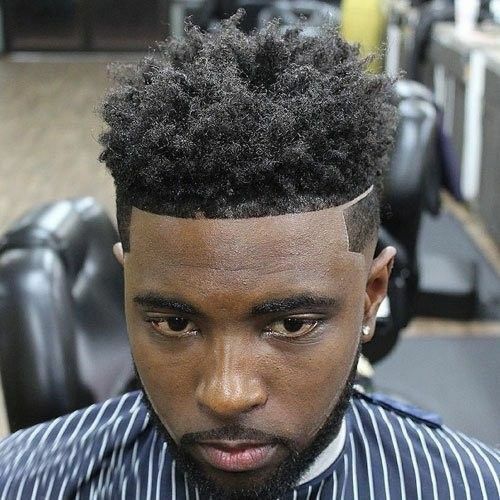 This hard part Afro fade hairstyle is a popular one among black men, where the hard part is on one side and a line created from one side to the other along the forehead. Curly hair on the top perfectly matches the hair style. This hard part burst Mohawk hairstyle is a creative one and compliment the line up hard part. The hair on the top is short and the hard part is noticeable at the back. 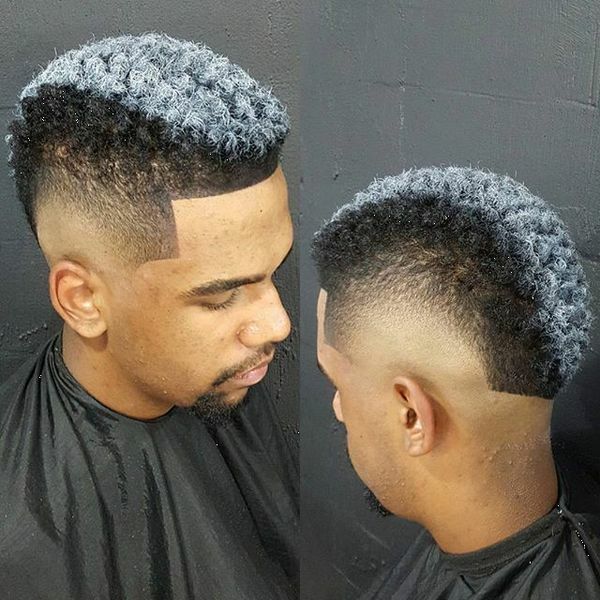 The sides have fade, which creates a contrast to this hairstyle. Spiky hairstyles go well with line up hard part hairstyles and this one is an example. The line up hard part is on the side and the hair on the top is styled with spikes by using a hair product. 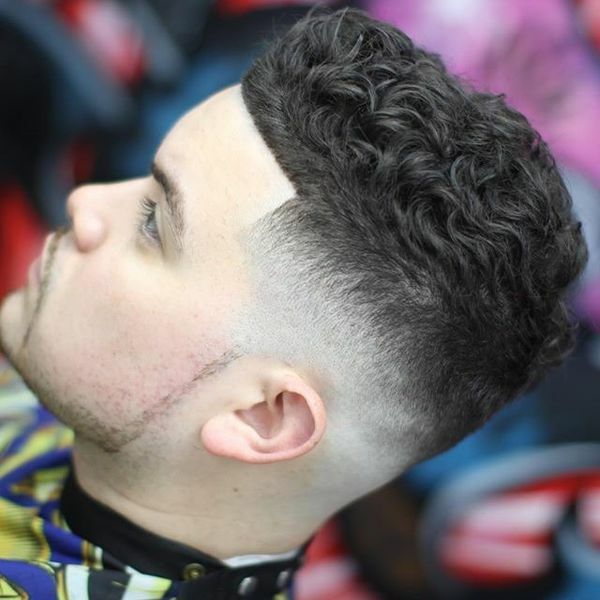 The line up and the skin fade makes a traditional hairstyle an updated one. Try a combination of colors to stay really updated. The sides are trimmed and the hair on the top has a combover. 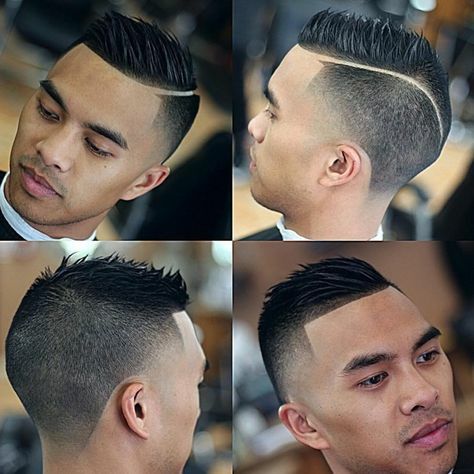 The line up hard part creates a striking contrast to the combover and the fade adds to the line up hard part style. In this hairstyle the long hair on the top is styled to a short pompadour. There are two hard parts, which forms a triangle and separates the pompadour with the side undercut. The shape up is perfectly styled. The line up can be good for long hairstyles, as is this male braid hair style. The medium length braid crown is a sharp contrast with the sharp line up. In this pomp over with hard part and shape up hairstyle, the pompadour is given an extra height. The sideline is curvy, which is deeply cut with a razor. The hard blend, shaved parting and the unswept sleek crown make this hair style a rockable one. The line up and the baid beard makes it even cooler. The long and furry hair looks neater with the line up finish. The hairline looks more significant along with the facial features. 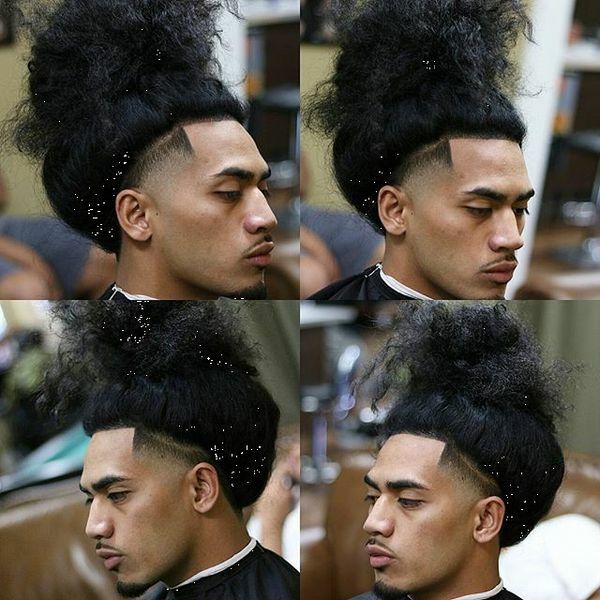 The line up or the shape up of this hairstyle takes it to a new level. Apply a gel to have the sides faded and make the hair style look sharper. The sharp line up makes this hair style incredible. While the top is perfectly un-swept, the fade and the pattern are precise. A flawless hairstyle. The sharp hairline and curly cut are the main features of this hairstyle. The hard part and the hairline, run parallel and moves towards the back as a side part. The back has a V shaped cut. An Afro style is all about giving the hairstyle a shape with added volume. This style has a disheveled curls sponge and the forehead, sharp line is square in design.